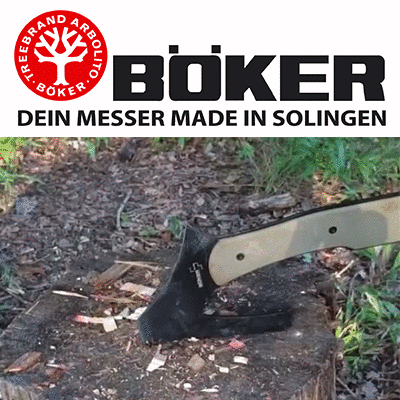 Today we are reviewing the Boker Tactical Plus Tomahook Axe. I was initially attracted to this axe because of its amazing versatility and durability, as well as it’s creative and slick hooked design. Almost every part of this axe can be used in a survival situation. As far as shape and design, it sports a wide head and sharp cutting edge with recessed G-10 scales along the handle for a comfortable and secure grip. Weight: 2 lbs. 1.60 oz. The design of the tomahawk can be attributed to the Celts, Vikings and Indians. However, it was not a Viking but rather a tactical tool designer Colin Despins who brought us this newly designed, strategic “Tomahook”. As I mentioned above, this axe boasts a ton of different uses. Besides being highly effective as a hatchet, with its board, razor-sharp edge, it can also be used as a lever or pick, since the top of the axe head has a pointed end. 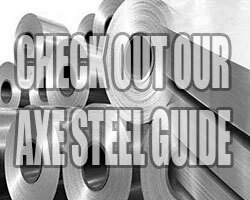 It can also be used in certain situations as a shovel, pounding tool, or clasp since the blade has a curved, hook-like bottom. 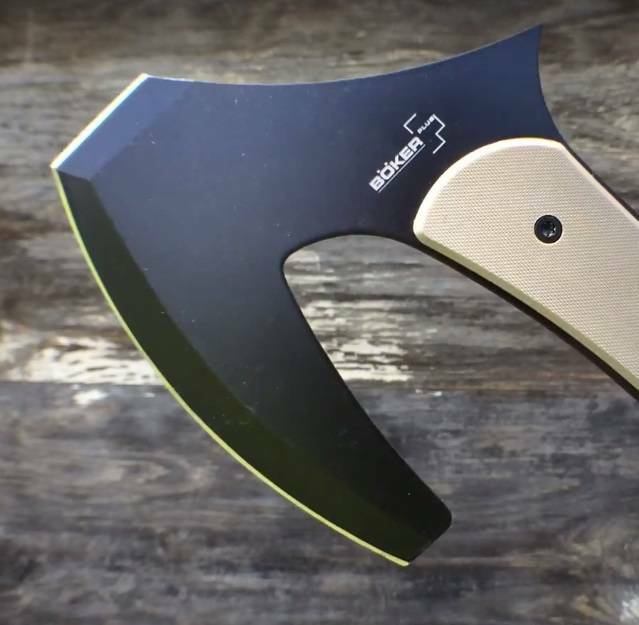 Especially useful in survival or emergency situations, this Boker Tomahook tactical axe can offer you plenty of help. The back of the axe head has a rounded edge that can be used break through glass, and because the blade is so sharp and precise, it can be used as a skinning or gutting knife. On top of all those awesome features, the blade is finished with a black coat of SK5 carbon steel with a corrosion-resistant coating, giving it a sleek and lustrous finish. It can eliminate the necessity to carry around a whole bunch of tactical tools since this one can do the job of almost all of them. As a hatchet, this axe can make precise, direct cuts with its biting end and blunt, forceful hits with its rounded edge. If you are a hunter or fisherman, this axe can prove useful in skinning or gutting your game, giving skillful, precise cuts every time you use it. We’ve decided to give this a 7.7/10-star rating, we like it that much! I can’t think of one thing I couldn’t use this tool for. Any avid collectors or appreciators of tactical tools should check out the Boker Knives Tactical Plus Tomahook Axe. I love the design of this tomahawk. It chops actually much better then I thought. Last week I just started to throw with it and it throws great. I love this axe.